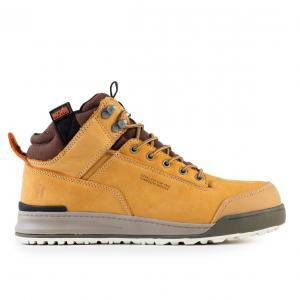 At Scruffs, we’ve got steel toe safety boots to suit every trade, every industry, and every purpose. Broadly speaking, our work boots can be broken down into four categories – SBP rated, S1P rated, S3 rated, and Waterproof. SBP rated steel toe boots have been tested to ensure that the reinforced toe can withstand 200J impact and 15kN compression force. On top of that, the penetration resistant outsole has been tested at 1,100N. Popular SBP rated boots in our range include the Twister, the Monsoon, and the Oxygen. 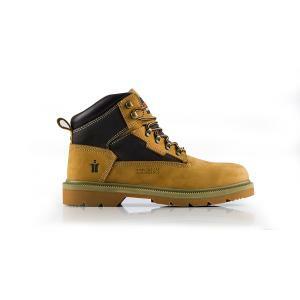 S1P rated steel toe boots are made from more durable materials and feature closed seat regions. They offer all the protection of the SBP rated boots, but with added electrical resistance, and energy absorption. 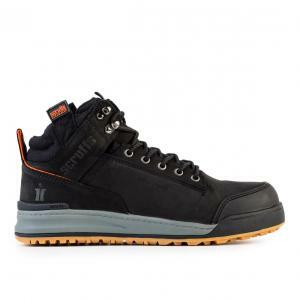 Popular S1P rated boots in our range include the Noble, and the Gravity rigger boots. 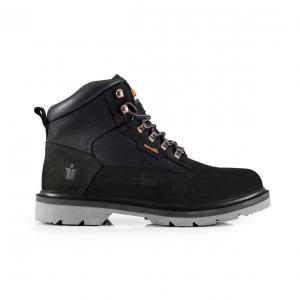 S3 rated steel toe boots feature cleated outsoles, which means that as well as offering all the protection of the S1P rated boots, they offer added water resistance. The striking Switchback Black is the most popular S3 rated boot in our range. When designing our range of safety shoes, we took inspiration from the latest high street trends. This means that not only do our boots offer complete protection, they look the part, too. With free deliveries on all orders over £50, look no further than Scruffs for all of your steel toe boot needs. And don't forget to take a look at the rest of our range of safety footwear.